Join St.Amant and many other organizations in the disability field for a celebratory International Day of Persons with Disabilities event on December 3rd. The event features a community art project, live music and shared stories of human rights. ASL and computer note taking supports are available. Contact us at inquiries@stamant.ca if you require other accommodations. Please help us make this a scent-free event. Saturday, December 3 at 1pm. 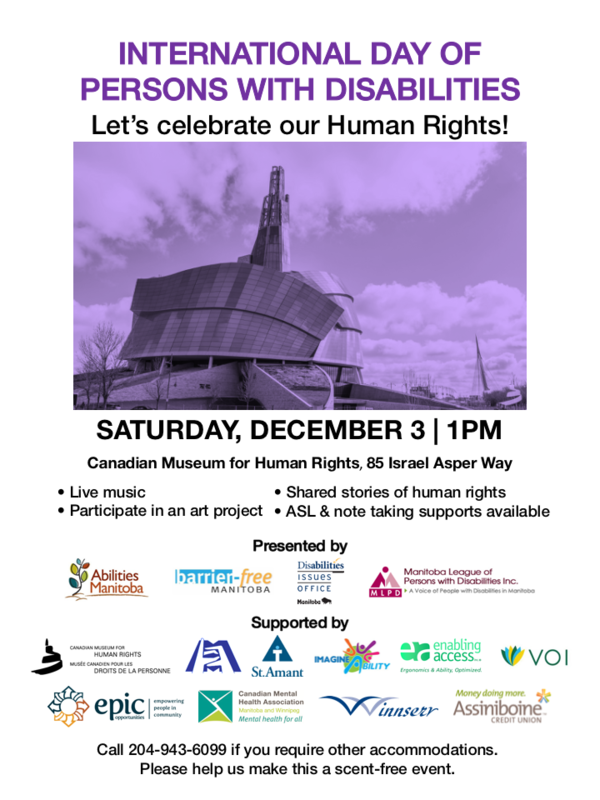 Canadian Museum for Human Rights, 85 Israel Asper Way.